JOHNSON, ANDREW HAY, farmer and orchardist; b. 26 July 1836 in Wolfville, N.S., youngest son of William Johnson and Hannah Pettingel; m. 9 Oct. 1876 Olivia P. Church in Falmouth, N.S., and they had a daughter; d. 28 March 1914 in Wolfville. Andrew Hay Johnson was a great-grandson of John Johnson of Yorkshire, England, who in 1775 emigrated to Nova Scotia to take up a grant of land in the fertile Horton Township. In the second decade of the 19th century Andrew’s father established himself as a farmer and surveyor at Mud Creek (Wolfville). Andrew attended the nearby Horton Academy with the intention of pursuing a college education, but because of poor eyesight chose to take up farming in family upland and dykeland holdings on Minas Basin. In a district which early in the century had proved to be well adapted to fruit production he soon demonstrated a notable proficiency as an orchardist. In January 1868 he purchased Greenwood Farm, comprising 400 acres in Falmouth Township, from the estate of the late John Elder and farmed it successfully until it was sold in 1882. When the Fruit Growers’ Association and International Show Society was established in Nova Scotia in 1864 the farmers of the Annapolis valley were foremost in its support. Johnson was an active member from its early years, serving on the council for Hants and Kings counties. For successive years he was a member of standing committees for fruit and publication, as well as of ad hoc committees, and in 1881 he was appointed recording secretary. Prize lists indicate he was a frequent winner for early bearing varieties of apples at provincial and local fairs. The practice of shipping Nova Scotia apples to Britain was then in its infancy, very little being known about the proper method of packing and shipping fruit. A few farmers had won awards and high praise for their product in London, yet disturbing reports of badly damaged fruit were a deterrent to the establishment of a profitable English market. As a successful orchardist Johnson, in an attempt to make a proper study of the problem, set sail for Britain early in 1883. Before embarking from Halifax he was appalled to see the “scandalous” way the apple barrels were handled on the dock; nor was he happy to observe on arrival in Britain that every 12th barrel was rudely ripped open in order to check for dynamite. On his return to Nova Scotia he made many practical suggestions to the Fruit Growers’ Association as to the proper packing and shipping of fruit, and in time came to be regarded as an authority on the subject. 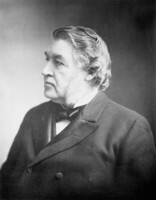 His recommendations received the sympathetic support of his fellow Nova Scotian Sir Charles Tupper, Canadian high commissioner in London. 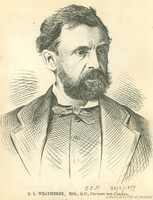 Johnson appears to have supported women’s rights, for at the annual meeting of the association in 1884 he proposed a motion whereby women might become members on payment of an annual fee of 50 cents, and it received unanimous assent. Within a short time the names of local women began to appear in the association’s Transactions and reports, including that of Olivia Johnson, Andrew’s wife, who in 1882 had apparently been delegated to represent the association at the Yarmouth Exhibition. An enthusiastic and vivid account of her visit was included in the Transactions the following year. In time she seems to have taken a more active role than her husband, being the recipient of a number of prizes and in 1903 becoming a life member of the association. Johnson was seemingly highly regarded as a farmer and horticulturist. Judge Robert Linton Weatherbe praised him as “a man of thorough knowledge” who could always be called upon for good advice. His obituary described him as “an enthusiastic orchardist, a consistent member of the Baptist Church, an ardent conservative and, as a charter member of the Wolfville division of the Sons of Temperance, a firm advocate of temperance.” The last surviving member of his family, Johnson passed away in Wolfville on 28 March 1914 and is buried in Willowbank Cemetery. Atlantic Baptist Hist. Coll., Acadia Univ. (Wolfville, N.S. ), Wolfville United Baptist Church, reg. of members. NA, RG 31, C1, 1891, Wolfville, dist.1 PANS, RG 32, WB, 73: 104. Acadian (Wolfville), 3 April 1914. Canadian biog. dict. J. V. Duncanson, Falmouth – a New England township in Nova Scotia, 1760–1965 (Windsor, Ont., 1965; repr. with supp., Belleville, Ont., 1983), 249. A. W. H. Eaton, The history of Kings County, Nova Scotia . . . (Salem, Mass., 1910; repr. Belleville, 1972), 714. Fruit Growers’ Assoc. and International Show Soc. of Nova Scotia, Trans. and reports (Halifax or Kentville, N.S. ), 1883–94, continued as Fruit Growers’ Assoc. of Nova Scotia, Annual report, 1895–1915. Anne Hutten, Valley gold: the story of the apple industry in Nova Scotia (Halifax, 1981). Shirley B. Elliott, “JOHNSON, ANDREW HAY,” in Dictionary of Canadian Biography, vol. 14, University of Toronto/Université Laval, 2003–, accessed April 22, 2019, http://www.biographi.ca/en/bio/johnson_andrew_hay_14E.html.